"Hidden Identity" was created to look like a propaganda poster gone wrong. 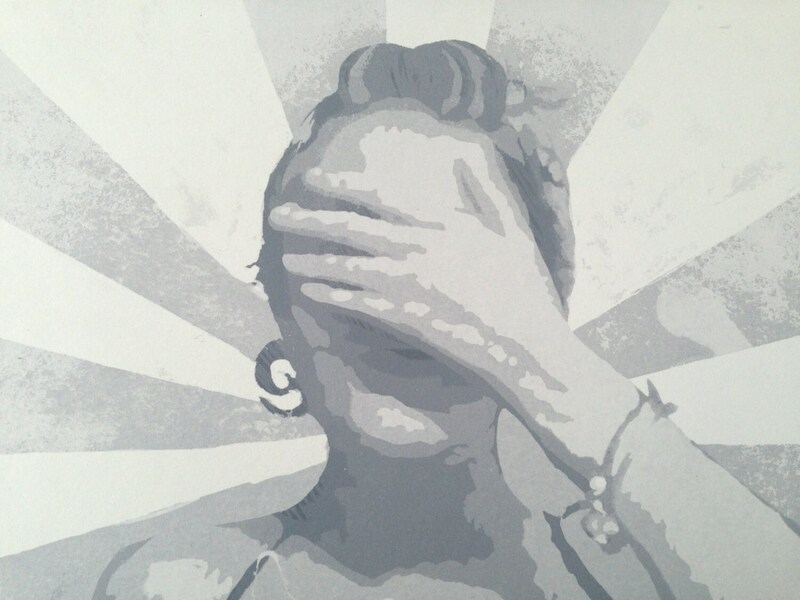 The subject's face is hidden from her intended audience as she covers her eyes with her hand. Addressing issues of identity within society, this piece discusses our ability to hide from the truth as a defense mechanism. 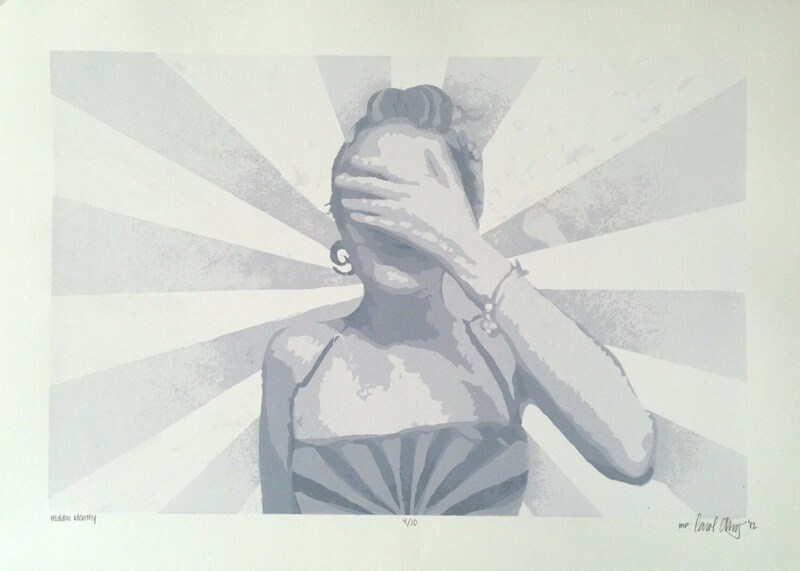 Printed on white archival paper, this screen print measures 15" tall and 21" wide. 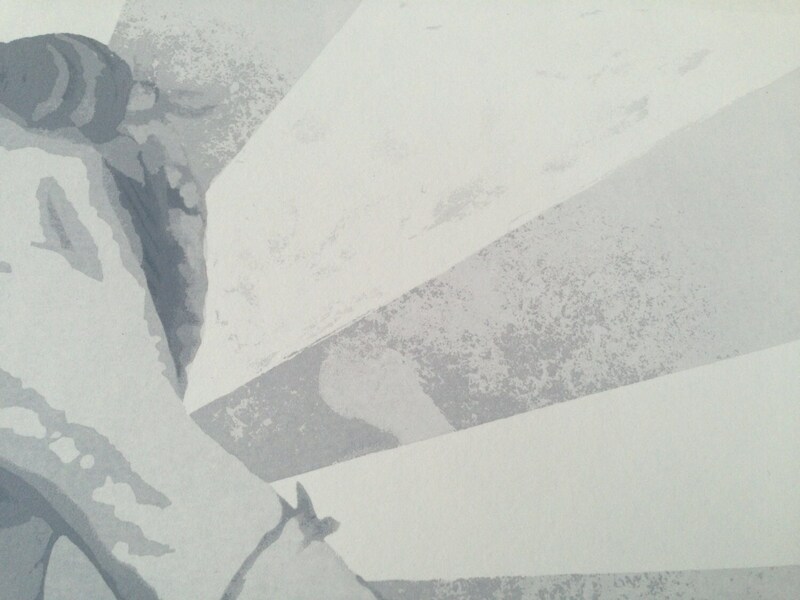 Six tones of grey are layered in acrylic ink to create this image. "Hidden Identity" is a 10 print series. 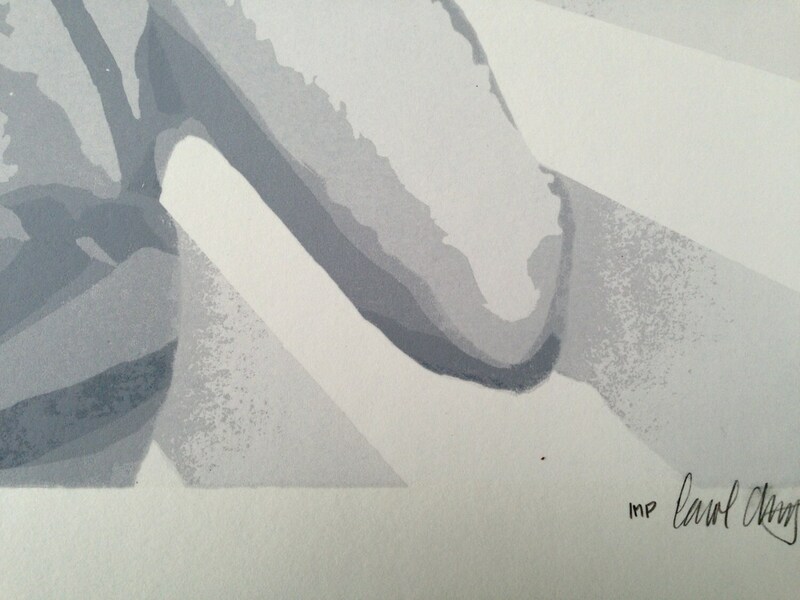 Each print signed and numbered, making this piece very unique.